public hearing Monday, June 4, 2018 at 10:00 a.m. at the offices of WCDA, 155 North Beech Street, Casper, WY. An Open Forum for questions and discussion will be held immediately before the Public Hearing beginning at 9:00 a.m. A conference call number is available for the meeting. Please use 1-877-633-0079 (pin # 2454) to call in.The purpose of this Public Hearing and Open Forum will be to solicit comments with respect to the 2019 Wyoming Allocation Plan for Section 42 Tax Credits. Public input will be heard from interested parties at this time. WCDA will be accepting written comments that must be received by Friday, June 1, 2018 at 5:00 p.m. to be read into the minutes of the hearing. Click here for the notice in its’ entirety. Download the 2019 Affordable Housing Allocation Plan. Click here for the 2018 Tax Credit Application. For questions contact the WCDA office at 307-265-0603 and ask for Edie Philips. Expansion of the supply of decent and affordable housing, particularly rental housing, for low and very-low-income Americans. Strengthening the abilities of State and local governments to design and implement strategies for achieving adequate supplies of decent and affordable housing. Extending and strengthening partnerships among all levels of government and the private sector, including for-profit and non-profit organizations, in the production and operation of affordable housing. HOME funds are traditionally used as gap financing in affordable multi-family housing, structured as long term, low interest rate debt though WCDA may define other eligible uses within the 2019 Affordable Housing Allocation Plan. Information on how to apply, application deadlines, project scoring criteria and WCDA underwriting requirements can also be found in this document. The State of Wyoming anticipates receiving an annual allocation in HOME funds of approximately $3,500,000. Refer to the WCDA Affordable Housing Allocation Plan, Current Year Summary Attachment A for actual funding levels. These HOME funds will be allocated to local governments, Community Housing Development Organizations (CHDOs), Public Housing Authorities, Non-profit Organizations and for-profit developers of Low-income housing as described below. All projects outside of Casper and Cheyenne must be developed pursuant to the State’s Consolidated Plan for Housing and Community Development. Casper and Cheyenne projects must be developed pursuant to their respective local Consolidated Plans. Projects located in entitlement cities (Cheyenne and Casper) must have a current letter of consistency with the Consolidated Plan from the appropriate Jurisdiction. For FY 1994 and subsequent years, there are match requirements that must be met under the HOME Program. Matching funds are the local contribution to the project. Click here to view the Alpine Park Apartments time-lapse build. **For previous years, please visit the HUD income limits. **For previous years, please visit the HUD rent limits. The Affordable Housing Allocation Plan contains the Home allocation cycles, available funds, program description, and the application process. Due to similarities between the HOME and Tax Credit programs, WCDA utilizes one joint application for both programs. These utility allowances are not generated by WCDA and not all cities and towns are included. If your town or city is not listed please use the nearest town or city to your property. Please be aware that some communities have different price structures for single family and multifamily properties. Click the link below to download a PDF file for viewing. If there is not an active link next to the city/town WCDA has not received the recent utility allowances. All applicants are required to submit an independent 3rd party market study. A semi-annual study of Wyoming’s Housing Demographic & Economic information, as well as County and Regional profiles can be found here. Refer to the Affordable Housing Allocation Plan, Attachment “A”, Item “13” for the required elements of a market study for all applications under the HOME and Low Income Housing Tax Credit Programs. Please refer to Attachment “B” for a required market study recap. Community Housing Development Organization (CHDO) is a private, non-profit organization that meets a series of qualifications prescribed in the HOME Regulations. CHDOs must receive at least 15 percent of Wyoming’s annual allocation of HOME funds. CHDO’s are also eligible to receive Low Income Housing Tax Credits (LIHTC) under the 10% non-profit set aside. Specific requirements for CHDO designation can be found in the Affordable Housing Allocation Plan, Attachment E HOME Program Description. The HUD Manufactured Home Dispute Resolution Program is a program of the U.S. Department of Housing and Urban Development, Office of Manufactured Housing, and provides timely resolution of disputes between manufacturers, retailers and installers regarding the responsibility for correction or repair of alleged defects reported in the one-year period from the date of first installation. The Consolidated Plan consolidates the application requirements for four Community Planning and Development (CPD) formula programs: Community Development Block Grants (CDBG), HOME Investment Partnerships Program (HOME), Emergency Solutions Grants (ESG), and Housing Opportunities for Persons with AIDS (HOPWA). The statutes for these grant programs set forth three basic goals which are closely related to the major commitments and priorities of HUD. Click here to download the final version of the 2013-2017 Consolidated Plan. An Annual Action Plan is completed for each year after the initial year of the Consolidated Plan outlining any changes and/or amendments to the plan or goals. Click below to download the appropriate Annual Action Plan. 3. Maintain records reflecting the actions taken in response to the analysis. Download the full Wyoming Analysis of Impediments to Fair Housing Choice here. The National Housing Trust Fund (NHTF) is a dedicated fund intended to provide revenue to build, preserve, and rehabilitate housing for people with the lowest incomes. The NHTF will provide communities with funds to build, preserve, and rehabilitate rental homes that are affordable for extremely and very low income households. HUD’s Neighborhood Stabilization Program (NSP) provides emergency assistance to state and local governments to acquire and redevelop foreclosed properties that might otherwise become sources of abandonment and blight within their communities. The Neighborhood Stabilization Program (NSP) provides grants to every state and certain local communities to purchase foreclosed or abandoned homes and to rehabilitate, resell, or redevelop these homes in order to stabilize neighborhoods and stem the decline of house values of neighboring homes. The Wyoming Community Development Authority no longer has NSP funds available for allocation. Quarterly reports containing program financial information can be found under the Quarterly Reporting link to the left. The Low-Income Housing Tax Credit (LIHTC) is an affordable housing program that provides equity for affordable multi-family housing developments through the syndication of these credits. The LIHTC program is administered according to the rules and regulations outlined with the 2019 Affordable Housing Allocation Plan and allocated through a competitive allocation process on an annual basis. Private for-profit and non-profit developers are eligible to apply for the LIHTC program. Specific scoring criteria, WCDA underwriting guidelines and application requirements and deadlines can be found within this document. The Low-Income Housing Tax Credit was created by the Tax Reform Act of 1986 to encourage the construction and rehabilitation of housing for very low, low, and moderate-income individuals and families. Congress mandated that housing credit agencies adopt an “Allocation Plan” which defines the process used to distribute the Credit among projects. The Tax Credit Program is a regulated and highly complex program. Final interpretations of certain rules and regulations governing various facets of the program have not yet been issued by the U.S. Department of Treasury; consequently, additional requirements or conditions applying to the tax credit may be forthcoming. It is strongly suggested that project sponsors interested in the Tax Credit Program contact their tax accountant and/or attorney before developing projects under the Tax Credit Program. While WCDA will endeavor to assist those persons applying for an allocation of tax credits, WCDA personnel are not tax or legal experts and applicants should not rely on WCDA for tax and/or legal advice. Refer to the Affordable Housing Allocation Plan, Attachment B for the required elements of a market study for all applications under the HOME and Low Income Housing Tax Credit Programs. State and local governments sell tax-exempt Housing Bonds, commonly known as Mortgage Revenue Bonds (MRBs) and Multifamily Housing Bonds, and use the proceeds to finance low-cost mortgages for lower income first-time homebuyers or the production of apartments at rents affordable to lower income families. MRBs have made first-time homeownership possible for over 2.6 million lower income families, approximately 100,000 every year. Multifamily Housing Bonds have provided financing to produce nearly 1 million apartments affordable to lower income families. ALL projects applying for Tax Exempt Bond Financing must comply with all aspects of the Wyoming Community Development Authority Affordable Housing Allocation Plan. This includes, but is not limited to, those projects applying for credits under the state Tax Credit Cap, and those projects applying for credits when utilizing Tax-Exempt Bond financing, whether or not WCDA is the Bond Issuer. The Tax Credit Assistance Program (TCAP) program was designed to assist those Tax Credit multifamily housing projects that have stalled or were experiencing difficulty in obtaining the necessary financing and/or equity infusion due to the changes in the economy. Only certain projects qualify for this funding. Click here for a list of those projects along with other rules pertaining to this program. The Tax Credit Exchange (TCX) Program was designed to assist those Tax Credit multifamily housing projects that have stalled or were experiencing difficulty in obtaining the equity infusion from syndicating the Tax Credits due to the changes in the economy. Only certain projects qualify for this funding. Click here for a list of those projects along with the rules pertaining to this program. The Wyoming Community Development Authority (WCDA) Compliance Department monitors multi-family projects that have been placed in service and are financed with tax-exempt bond, low income housing tax credits and the Home Investment Partnerships Act (HOME). This monitoring is done on the federally required schedule pertinent to each program. WCDA monitors tenant files for verified income qualification and properly restricted rents. WCDA also monitors the physical and financial condition of the entire project and will continually watch out for the health and safety of the tenants. Each on-site monitoring visit will be an in-depth review of all factors concerning a project. WCDA is required to monitor the physical condition of all HOME, LIHTC and Bond Financed properties to State or Local Habitability Codes or Uniform Physical Condition Standards (UPCS) whichever is most restrictive.Click here to download the UPCS Revised Dictionary of Deficiency Definitions. All regular sources of income, including all assets, must be verified in writing by a third party. Income verification requests must be sent directly to and from the source, not through the applicant. The project’s most recent audited financial statement must be submitted to WCDA on or before March 31st of each year. For HOME, NSP and NHTF projects with 10 or more federally funded units the project’s most recent audited financial statement must be submitted to WCDA on or before March 31st of each year. All project owners must complete and remit an Owners Certification to the WCDA annually. A Tax Credit project owner must complete the Annual Owners Certification Form for LIHTC and a HOME project owner must complete the Annual Owners Certification Form for HOME. Therefore, if your project has both types of funding you must complete both forms for the project. This list is not comprehensive but provides a sampling of issues where the Fair Housing Act would apply. 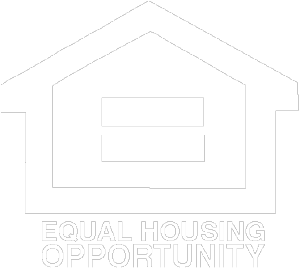 Equal Access to Housing in HUD Programs – Regardless of Sexual Orientation or Gender Identity – Through this final rule, HUD implements policy to ensure that its core programs are open to all eligible individuals and families regardless of sexual orientation, gender identity, or marital status. The Age Discrimination Act of 1975 prohibits discrimination on the basis of age in programs or activities receiving Federal financial assistance. However, Congress enacted The Housing for Older Persons Act of 1995 which allows Housing Owners to designate their housing as Elderly Housing and to limit their housing to specific age groups. An Owner may choose to set the minimum age limit so that all residents must be at least 62 or 55 years old. For further information regarding VAWA please visit HUD’s website. As allowed by IRS Revenue Procedures 2014-49 and 2014-50, Owners of multi-family housing in the Low Income Housing Tax Credit (LIHTC) program may choose to provide temporary housing relief to households that have been displaced by a presidentially declared disaster. Under normal circumstances, households must be income qualified at or below program income limits in order to reside in an LIHTC project. Adoption of these Revenue Procedures now allow LIHTC project owners to house these displaced disaster victims regardless of income. This income waiver applies only to LIHTC units and does not include units funded with federal funding. Although the income restrictions have been temporarily waived by the IRS, most project owners will still have their own tenant selection criteria and expect these households to be under Lease. The IRS restrictions for households consisting entirely of full-time students still apply. This temporary waiver of income restrictions is effective until the end of the month one year from the date of declaration. Should a disaster victim desire to occupy a unit past that deadline, the household must be certified as income eligible under Section 42 of the Internal Revenue Code requirements on or before the deadline. If an LIHTC project owner desires to provide emergency housing relief to a displaced household you will complete and submit an Owner’s Request to Provide Emergency Housing Relief to the Wyoming Community Development Authority (WCDA). This form is provided below and when completed should be forwarded to the WCDA Compliance Officer, Judy Koski at koski@wyomingcda.com. You will receive a response from WCDA approving or disapproving the request. Upon provision of housing the head of household must complete the Displaced Household Certification attesting to the fact that their primary residence was located in the disaster area and they have been displaced from their primary residence. This form is also provided below and should be kept in the household’s file. Inquiries regarding this emergency housing provision may be directed to Judy Koski at koski@wyomingcda.com or 307-265-0603. The Wyoming Qualified Allocation Plan requires that Wyoming Community Development Authority (WCDA) approve all sales of projects allocated funds under its purview. The following information concerns any Owner or Partnership that is considering selling or purchasing any project in Wyoming that is funded with HOME funds, Tax Credits, National Housing Trust Funds or NSP funds. The following two items will need to be completed and submitted to WCDA in order to secure WCDA’s approval of the purchase and sale process. This will initiate the process and it is possible that WCDA will require further information. A portion of this information will be completed by the current owner and a portion of it will be completed by the prospective purchaser. The W-9 form will also need to be completed by the prospective purchaser. All required documentation should be submitted to the Director of Affordable Housing Development, Dr. John Batey. Documentation can be emailed to batey@wyomingcda.com and Dr. Batey can be contacted at 307-265-0603. The Wyoming Community Development Authority (WCDA) is pleased to invite proposals from organizations qualified to construct or rehabilitate housing units, and provide supportive services for homeless or at-risk homeless individuals and families. The transitional housing units to be provided may be of single-room occupancy or traditional multi-family configuration, and must be accompanied by a continuum of care (CoC) that provides supportive services to the target households. The CoC is a key concept in the delivery of homeless assistance in a community. It brings homeless persons into a comprehensive system intended to assess their needs and provide them with a full range of services to permit independent living. In the past WCDA has been designated as the state recipient of several housing programs associated with the Housing and Economic Recovery Act of 2008 (HERA) and the American Recovery and Reinvestment Act of 2009 (ARRA). WCDA continues to administer these programs, though they are no longer available sources of funding for affordable multi-family housing. For detailed information regarding each of the above mentioned information please see the program specific links. WCDA is required to monitor the physical condition of all HOME, LIHTC and Bond Financed properties to State or Local Habitability Codes or Uniform Physical Condition Standards (UPCS) whichever is most restrictive. Click here to download the UPCS Revised Dictionary of Deficiency Definitions.